2 days ago I told you how to DIY a lipscrub. But that of course ain’t enough for kissable lips. I’ll let you in on my top 3 lip care products. My precious baby since I don’t know for how many years. I have 4 of them so I can keep them close. This salve is amazing! A small bruise or a cut. A rash or allergie. I like to put some on top 🙂 But the main reason why I bought this: I put this on my lips every morning & every night before going to sleep. When I don’t wear any lip stick, I’ll probably apply 5 times more during the day. Another baby of mine. Love it or hate it. It has a very specific herbal sent so it takes time to get used to it. But once you are, great salve. During the colder winter days, I switch up my Rosebud Salve with my 8 hour cream. Because the 8 hour is a little more intense. You’ll never see me with chapped lips! This salve is available @ Ici Paril XL. I recently added a new member to the family. My strawberry sorbet lip balm. Great stuff! I chased it for years and finally got my hands on one in Amsterdam @ the Urban Outfitters Store. It ain’t cheap (like the ones above) for a lip balm but it is a damn good one! I always apply Rosebud Salve in the morning while doing my make-up. But right before applying my lip stick, I whip it off. It is too “greasy”. My lip stick wouldn’t adhere like it should. But this lip balm is light & hydrates perfectly! I haven’t had any problems yet with my lip stick on top of this balm. 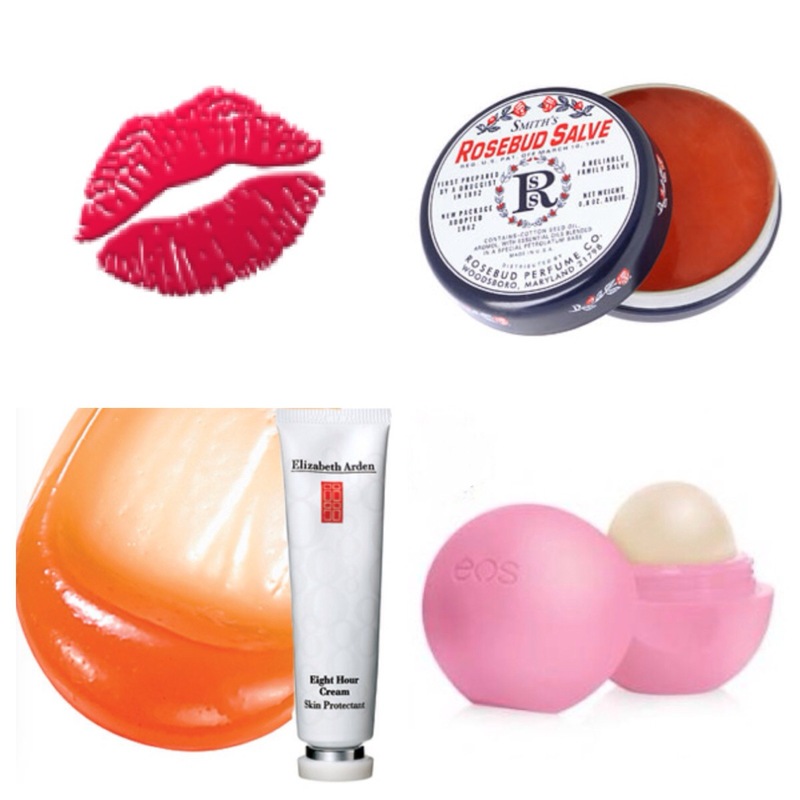 Do you also have some go to lip care products?